Simplex Americas LLC is a leading OEM ship spare parts supplier for all your marine spare parts needs. Are you looking for a ship spare parts supplier that provides high-quality marine spare parts? If so, you can rely on us! Since being founded in 2003, Simplex Americas LLC has provided marine spare parts and marine services worldwide to recreational, commercial and military customers. We offer separator spares, seal spares and other integral marine parts. Simplex Americas LLC has an extensive database that allows us to search and find compatible parts for all marine vessels in a quickly and efficiently manner. Additionally, here at Simplex Americas LLC, we strive to find the most cost-effective option for our customers whenever possible. Simplex Americas LLC stock an extensive selection of Simplex-Compact seal spare parts, to cover the needs of more than 40.000 marine vessels equipped with Simplex stern tube seals. 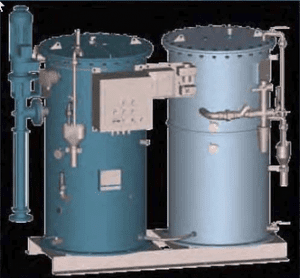 Simplex Americas LLC also carry a wide variety of spare parts for oil water separators. An oily water separator can be suitable to use on board all types of ships, offshore platforms and it even has land-based applications. Simplex Americas LLC spare parts selection includes pump spares, monitors, valves, Oil Content monitors, HycaSeps, and coalescers. As a marine vessel operator, it is extremely important to have a reliable ship spare parts supplier for all your marine spare parts needs. Simplex Americas LLC is the exclusive supplier for all the parts described above. Contact Simplex Americas LLC today through our website or by calling 1-908-237-9099 for more information on marine spare parts, seal spare parts or Turbulo separator spares. As your ship spare parts supplier, Simplex Americas LLC is ready to assist you with all your marine spare parts needs.